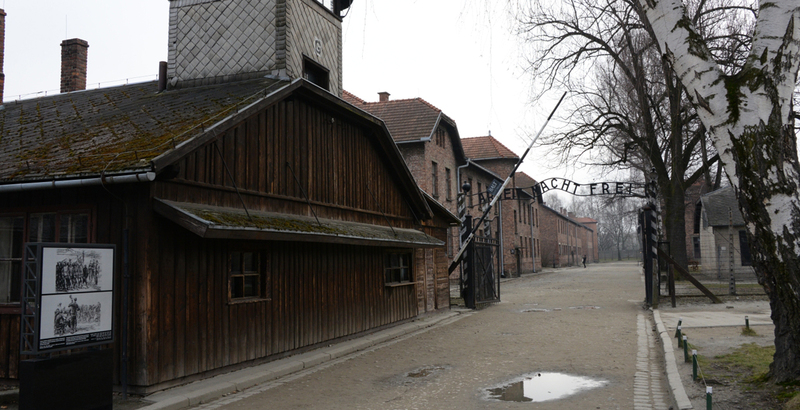 Although at the Auschwitz gate the well-known inscription ‘Arbeit macht frei’ (‘Work sets free’) could be read, this was only a macabre metaphor used by Nazis. For the work imposed to inmates had a clear goal–the extermination of Jews, Poles, Soviet POWs and others deemed enemies to the Reich. Main access to Auschwitz II-Birkenau as can be seen nowadays. © Paweł Sawicki. 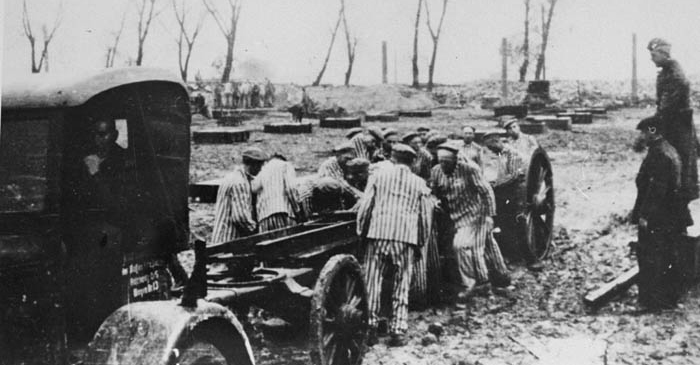 Auschwitz female and male prisoners were forced to work at a frenzied pace during working days of more than 11 hours with barely no rest or tools. They performed a range of very diverse tasks, such as loading heavy materials, mining, producing chemicals, weapons and fuel or building infrastructures. Other forced chores very common at the camp were the sorting of the belongings robbed to prisoners or the incineration of bodies in the crematoria. Inmates building the Krupp factory in Auschwitz, 1921-43. Other companies, such as IG Farben, IBM or Siemens, also benefited from the slave labour in the camp. Courtesy of National Archives and Records Administration. As World War II protracted and the German army began to draw back at the front, the SS decided, nonetheless, to obtain more benefit from these ‘assets’ in order to propel the German war machinery. So, it began to ‘rent’ the people confined in Auschwitz as cheap workforce to private companies that paid a nominal fee to the German Nazi state in exchange for their exploitation. During those exhausting working days, when the prisoners were attacked constantly with blows and screams, death from fatigue or work accidents were commonplace.